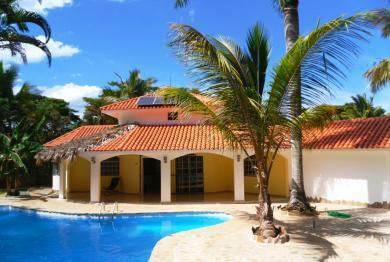 FANTASTIC opportunity to purchase a 4 bedroom villa which comes with a 2 BR guesthouse. Plenty of room for friends and/of family coming by. The huge pool area invites to relax on the expansive pool deck or just to jump into the cool wet...BBQ area!! See on the picture how clever that was designed. Sooo much space all over the place.